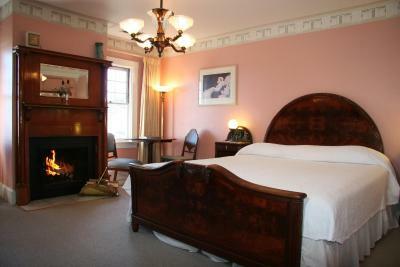 Lock in a great price for Martine Inn - rated 9 by recent guests. We stayed at the Martine Inn for three nights over Christmas 2018. It was a great experience. The house is very unique. 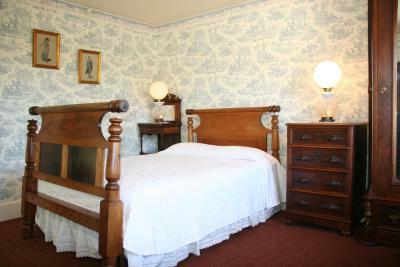 Every room is different and filled with antique furniture. 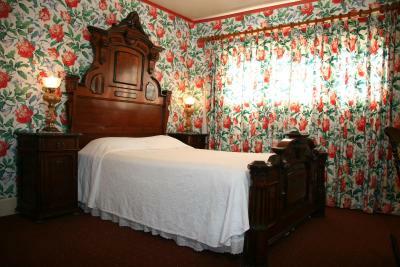 Our room was the Pineapple room, so called because of the patterns on the wallpaper. The breakfast is truly marvelous, every day there are different dishes, freshly prepared. The breakfast room faces the ocean and it was a joy to sit there, drink coffee and watch the sea otters and harbour seals play. Also every day from 5pm guests are invited to come to the breakfast room again and can help themselves to complimentary wine, snacks and nibbles. I have not experienced something like this before, it's a really lovely gesture, and it was nice to sit there by the open fire place and chat to fellow guests. We had the added pleasure of also meeting the owner and his family since it was Christmas. Eccentric in the best way - richly and eclectically furnished, lovely little personal touches like the wine and canapes in the evening, and excellent breakfasts overlooking the bay. Plus the neighbourhood is lovely, and a deal less touristy than nearby Carmel. 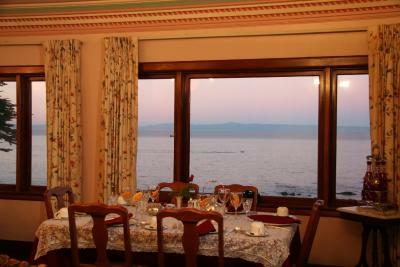 Great view from dinning room with binoculars provided to watch the sea life. Very welcoming staff and the introduction to the house was great. Bonus restored cars to view. Afternoon drinks & snacks were wonderful with plenty of options. Breakfast excellent. View from dining area outstanding. The staff were friendly and helpful. Not knowing the area I asked questions concerning what to do etc...the staff went out of there way to direct me to the best spots. It’s a unique experience. And service, location and views were awesome! the included wine hour and appetizers was unexpected and fantastic ! 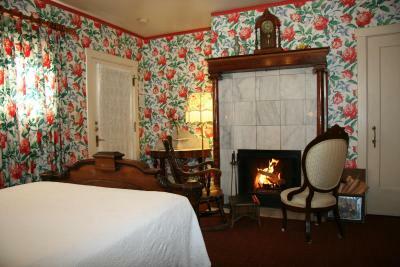 entire hotel was quaint and delightful. fresh fruit, coffee, and cookies were available 24/7. 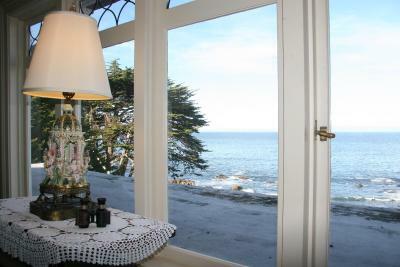 beautiful ocean views from the dining room. we even saw dolphins out the windows !! Staff was very nice and helpful. Breakfast was delicious. Rooms were quiet. Thoroughly enjoyed our time at Martine Inn. 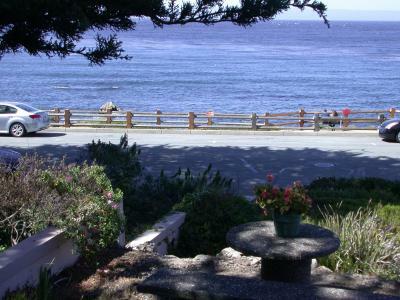 Very close to 17-Mile Drive, and Monterey Bay Aquarium and Cannery Row is within walking distance, less than 10 minutes. The staff were polite and courteous. 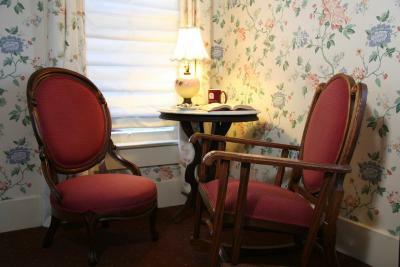 There were no tea/coffee facilities in the room, but these were always available in the lobby, as were homemade cookies and fresh fruit. This waterfront Pacific Grove bed and breakfast overlooking Monterey Bay features a daily gourmet breakfast and elegant rooms with free Wi-Fi. The Monterey Bay Aquarium is less than 1 miles away. 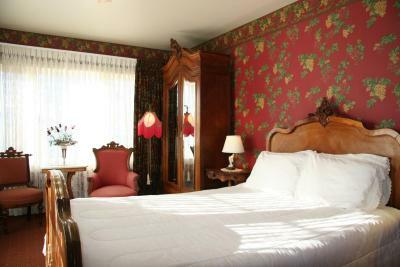 A comfortable seating area with antique furnishings with generous wooden accents is offered in each guest room at Martine Inn. 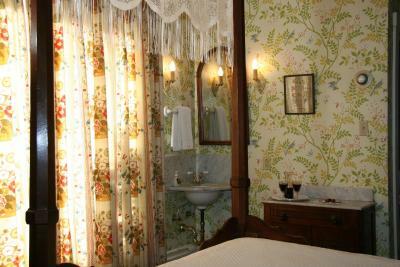 An en suite bathroom, a small refrigerator and a desk are also included in each room. A gourmet breakfast featuring fresh-baked pastry, juices, fruit and a hot dish such as French toast, crepes or egg specialties is served daily. Wine and hors d'oeuvres are served every evening at Martine Inn. 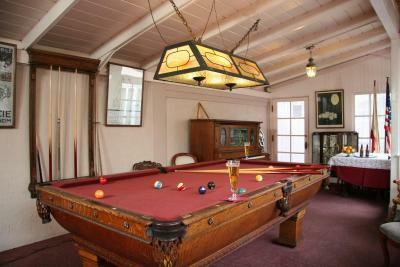 A billiards room and a library are located on site for guest use. Free parking and indoor bike storage is provided. 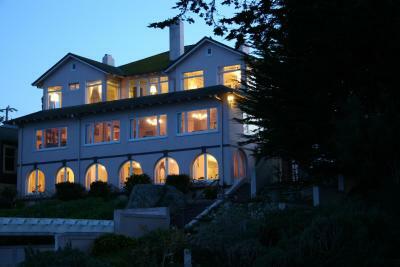 Tickets to Monterey Bay Aquarium and whale-watching tours are available at the property. 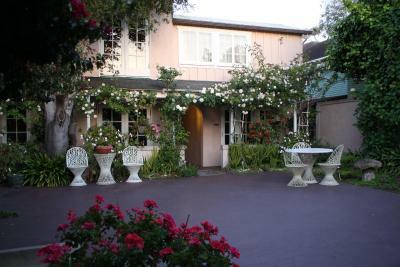 Carmel town centre is 15 minutes’ drive from Martine Inn Bed and Breakfast. 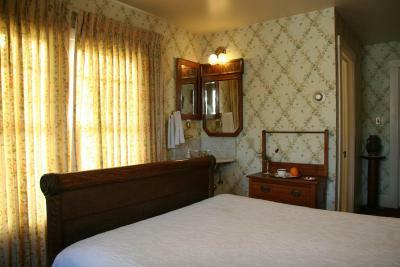 Big Sur is 30 miles from this bed and breakfast. 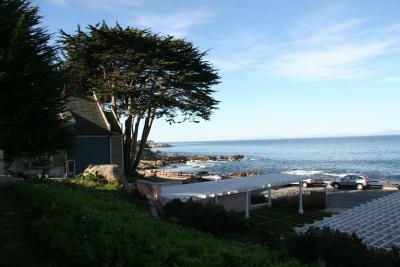 This property also has one of the best-rated locations in Pacific Grove! Guests are happier about it compared to other properties in the area. 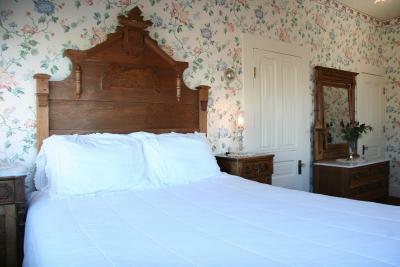 Martine Inn has been welcoming Booking.com guests since 7 Jan 2011. 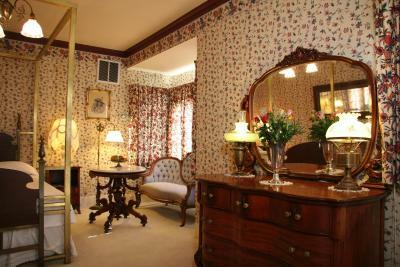 When would you like to stay at Martine Inn? 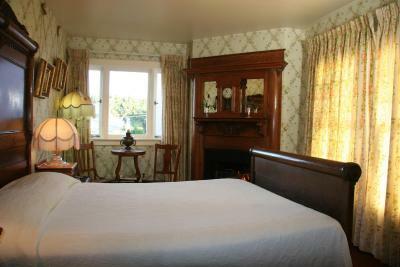 Featuring coastal ocean views of Monterey Bay through arched windows, this room includes an antique bedroom set. 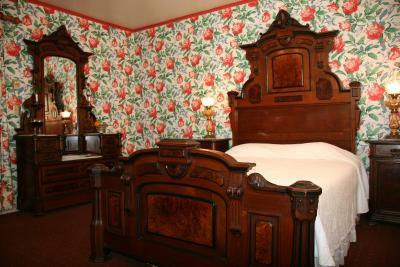 Please Note: Extra beds are not available for this room type. Please note: The maximum occupancy for this room is 2 guests. Featuring a partial view of Monterey Bay, this second floor room is located above the MG car display. 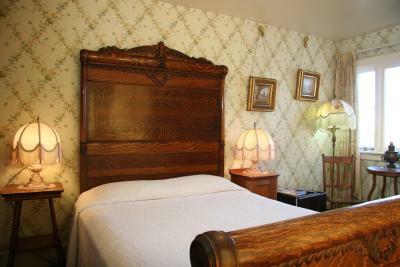 It includes an antique walnut bedroom set with marble top. 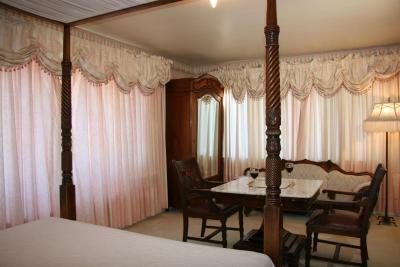 Featuring windows on three walls, a 4-poster bed with canopy, and petite sofa, this room offers a window seat. 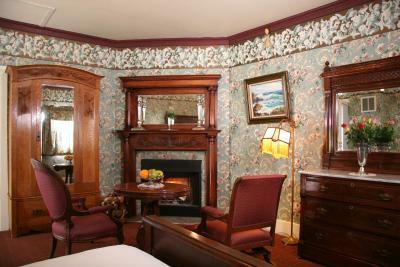 Early American furniture and an antique claw foot tub are offered in this main level room. 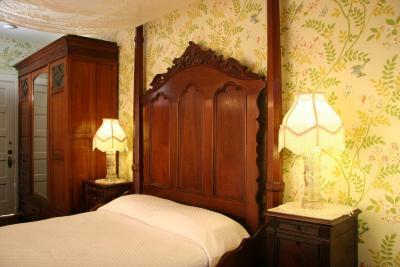 This upper level room features Art Deco and Art Nouveau furniture and decor. 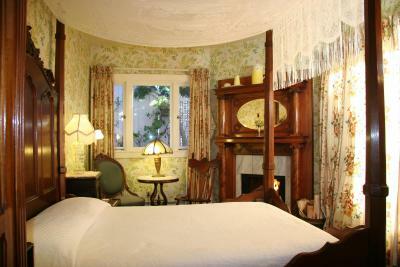 An antique brass 4-poster bed and Monterey jade fireplace are featured in this room. 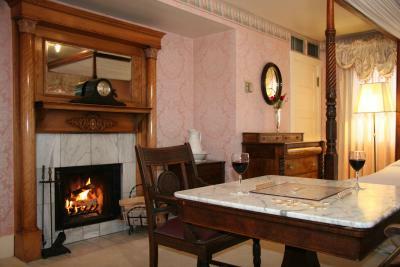 Ground floor with 8 foot high fireplace mantle highlights the rooms. 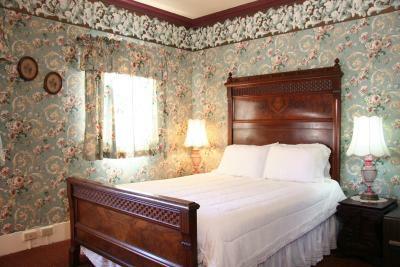 This room features cherub decor. 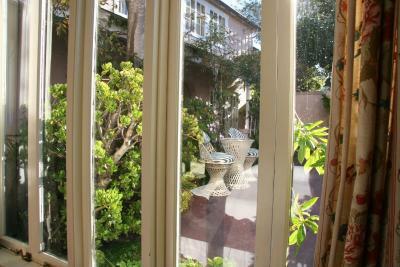 Views of the courtyard through French doors are featured in this room. 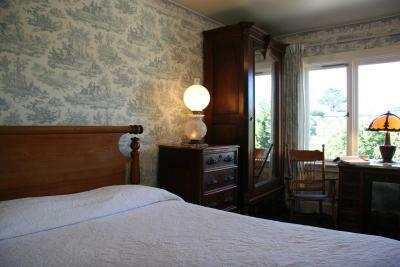 Featuring a pineapple motif, an 1800s rope bed frame and Early American furniture and decor, this room offers inland views. 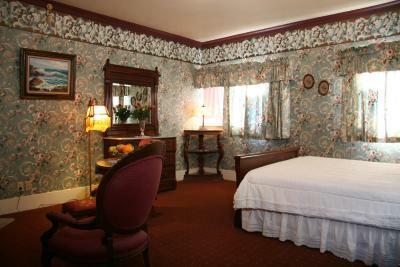 This corner room features red decor and views of the courtyard with fountain and fish pond. 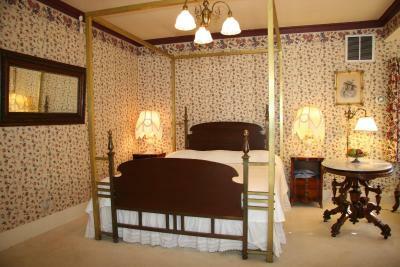 Offering a 4-poster bed with lace canopy, this room offers a fireplace and garden views. 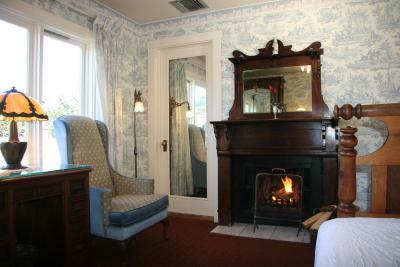 Featuring an antique 1800s rope bed frame and antique American furniture, this room offers a fireplace and inland views. 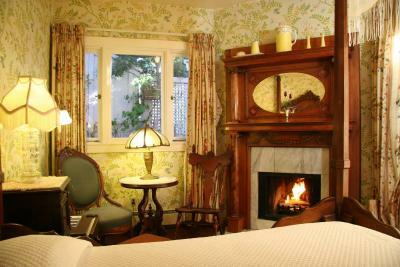 This corner room features a fireplace, antique oak furniture and courtyard views. House rules Martine Inn takes special requests - add in the next step! Martine Inn accepts these cards and reserves the right to temporarily hold an amount prior to arrival. American Express is not an accepted form of payment at this property. Dates during the Special Event Concourse are non-refundable. 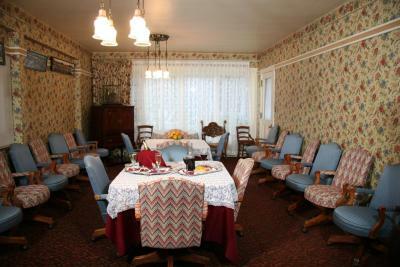 Parties larger than the maximum occupancy for the room cannot be accommodated. Please contact the property directly if there is any question about how many guests will be allowed. All children count as occupants. Unreliable wifi service which is important since cellular reception is also spotty in this location. 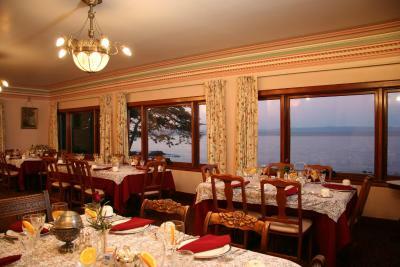 Beautiful location with a breakfast room and leisure rooms with amazing vistas. Staff was beyond pleasant, kind and helpful. A unique property. Wifi is spotty in the rooms but better in the common rooms. Amazing places to walk and see the seal puppies. Room was small and inconvenient to use. No TV. Sink area very inconvenient. Furnishings very dated. Main lounge offered wonderful views. Evening wine hour pleasant. The temperature management in the room. 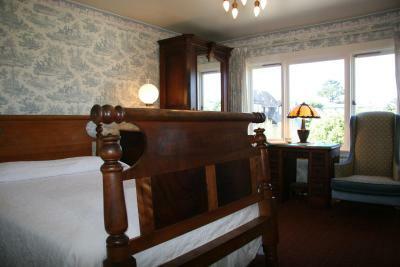 The bed is placed with head against the window. The windows are non-isolated and old so you can feel the air blowing inside the room. I had to sleep in a wool hat on my head because I was terribly cold. The heating system is not modern and not wise so it keeps blowing hot air if left on. Therefore leaving it on for the entire night is not a good option. Once it was turned off, the room cooled down in 30 minutes to almost outdoor temperature (winter time in CA is still cold at night). All night I woke up turning heater on and off so that we can stay warm. The blankets are super thin and I am glad I asked for one more before all staff went home for the night. I also had wool throws with me so we used them all. Remarkable collection of antique furniture and silverware. 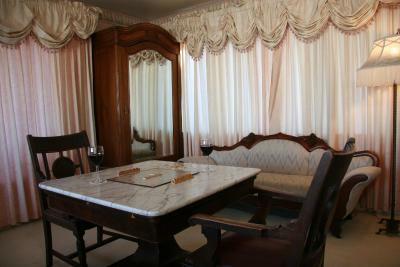 Romantic dining room with nice breakfast and evening wine reception. Nice to spend time in those common areas and look around in admiration. 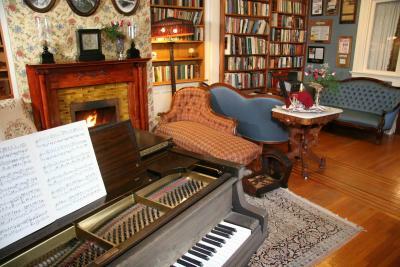 The owner comes to greet the guests and you can ask him about his collection. Because it was the holiday period, prices were quite steep which meant we couldn't afford a sea view room. When we arrived though they were not yet occupied and the doors were open so we could peek inside. If you can afford a room with sea view go for it - the views are spectacular. We were a little disappointed with the evening appetizers compare to other b& bs. Distance to the aquarium and restaurants. 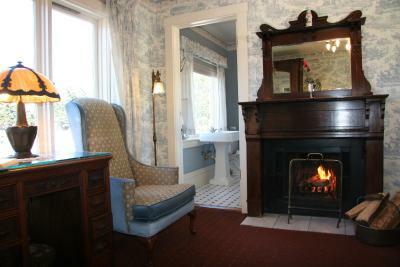 Fireplace in the room, claw foot tub, happy hour and full service breakfast! Felt like we went back to 1880! Absolutely loved the pool table and classic car collection! And the view!!!!!!!!!! Where to start.. I loved; The room, the view, the decor, champagne (complementary), the locations, the breakfast, did I mention the view?? God it was soooo wonderful! Romantic! Just Great! 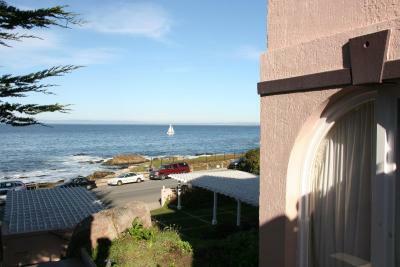 Location was perfect...walking distance to PG downtown and cannery row. breakfast was excellent ...Had fruit, coffee, tea, and Hot chocolate available 24/7...also a pastry of the day! 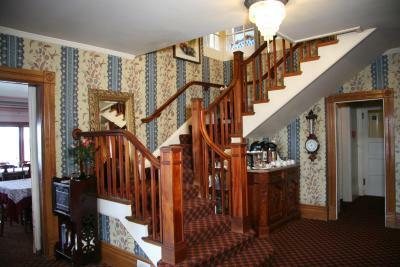 The property was beautiful and clean, with an amazing location. 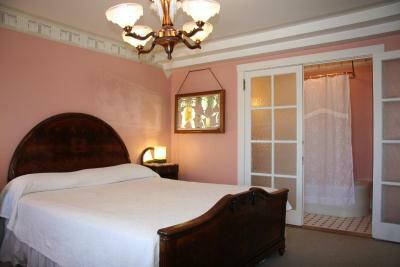 The room had three French doors, all of which opened to a common courtyard. I did not feel secure and comfortable. The only openable window was in the bathroom, and it had no screen and the curtain was fastened to the window, so if it were opened, anyone could see or reach in. The very old small refrigerator in the room cycled on and off, but I was able to unplug it. The staff were very nice. The breakfasts were excellent, with choices for vegetarians as well as omnivores. 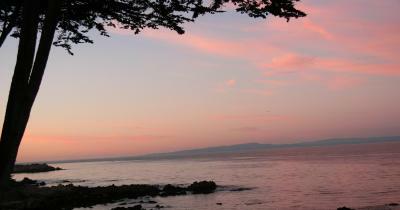 The location was perfect, as I was attending an event at the Monterey Bay Aquarium, which is within walking distance. 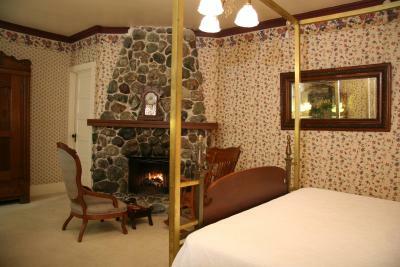 It is an older property with older beds and bathrooms, but this didn’t negatively affect our experience. It’s very quiet with mostly senior citizens. It would not be a good place for children or people who might make more noise. 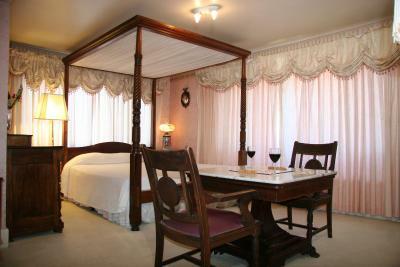 It was a very charming bed and breakfast with a little breakfast area with a view of the water. The food was good and service was kind and attentive. 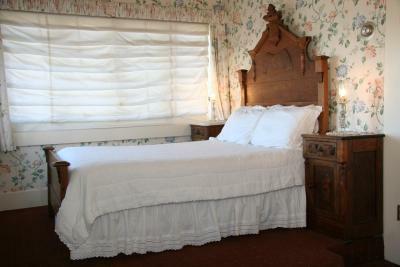 Some of the furnishings are showing their age with wear and tear. No tv to catch up on news.